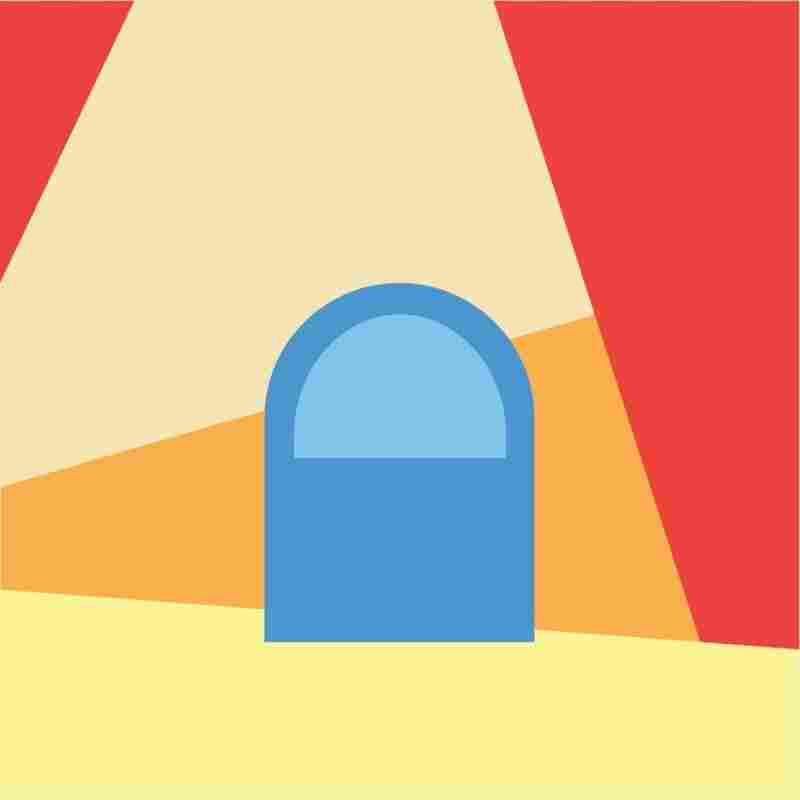 The Artist Responsible For Chance The Rapper's Meme-Inspired Abstract Art Illustrator Brandon Breaux has, since Chance The Rapper's debut mixtape, created the evocative portraits used on his covers. But for a recent series, Breaux went abstract — and meme-y. 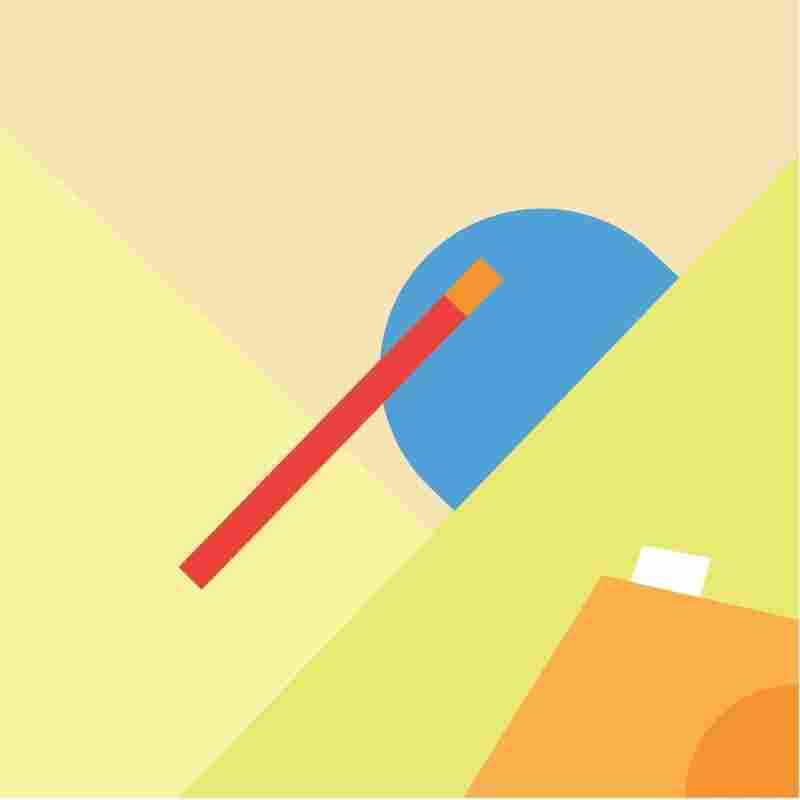 Cover art for Chance The Rapper's debut mixtape, 10 Day — it was the first in a "trilogy" of illustrations for the Chicago artist done by Brandon Breaux. 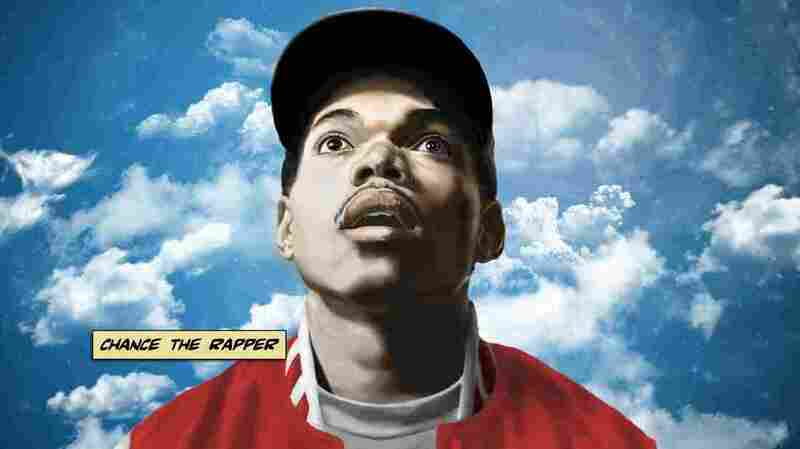 On the cover of Ten Day, Chance The Rapper's debut mixtape, a cartoonish-but-detailed illustration of the Chicago artist looks upwards in wonder, as pillowy clouds float in the sky behind him. It is, perhaps, a too-apt metaphor for the ascent that Chance's career has experienced since that 2012 release, from son-of-a-politician mixtape rapper to bona fide chart-topper, festival headliner and Grammy winner. 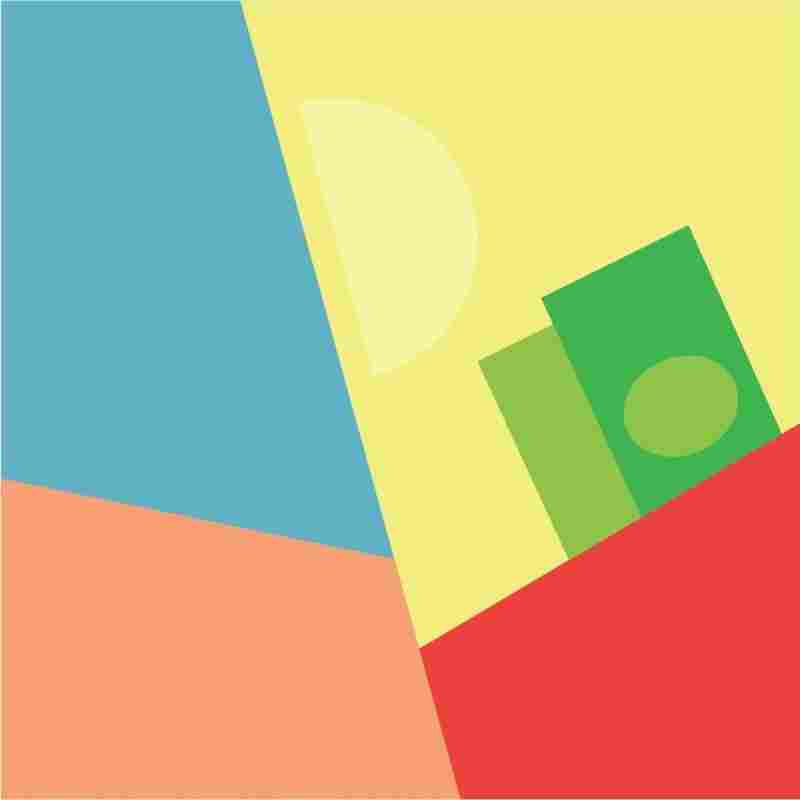 The artwork Breaux created for Chance the Rapper's four new singles, released July 19, mark a departure. Odes to abstraction, meme culture and the visual acuity of emoji, the playful images have managed to turn heads and inspire conversation; fans have come up with theories about which memes each might be referencing, like "Arthur's Fist." See it? NPR spoke with Breaux about his creative approach, and tried to dig up some of the visual easter eggs fans might have missed in these new album covers. Do you hear normally hear a whole record or project before you start working on designs? How does that work? But if I'm coming up with a project ... I know about the artist, I know about their music, but I might not have even heard the project. With those first Chance projects, I think all of them I heard afterwards. I'm [just] looking at the title. I know it's my job for people to get that title and get that mood from the album cover. That's what I'm focused on. So for you it's an immediate thing? You want people to see it and get the concept right away. You don't have time to do anything else but draw them in. If this doesn't stand out, you're not giving anybody a reason to even give you the two minutes [it takes] to make a decision about whether you like it or not. I wanted to create something that drew people in, so maybe that two minutes that people normally give something, maybe they give a little more time. How would you describe that style? In the earlier stuff, you were doing more portraiture work. It's not really a style, it's an approach. The approach was to present the work like fine art. Because nobody was taking the time. And around that time, and around that era — when we started the series that turned into a trilogy — nobody was taking the time to create actual art for the covers. It was more about minimalism. That wave was big because of Kanye, because he was doing the G.O.O.D. Fridays series, and they had to put that out every Friday. It was practical, it was simplified. It was a title and a parental advisory sticker, if you remember. That's what mixtape art was. The whole thing I was thinking was — you've got to pull people out of that space, out of that zone, and do something different. These new singles, the look of them — at least compared to the old Chance branding — is super different. What inspired it? Modern art isn't supposed to accompany single covers or whatever. I just wanted to do something different and take it in a new direction. It elevates and extends the conversation. Pairing this style that looks very much like an oil painting with this project. Where did art go after realism? It goes straight to abstraction. That was it. And I didn't have a lot of time. Same night. They called me around midnight and asked me to do it. Yeah, it's crazy. But, you know, as the need begins to become more immediate, you need to adjust. That's what I've been having to do in my personal practice as well, really figure out ways to get a feeling out, to get an idea out, in not as much time and in a way that's still effective. I use color a lot to do that. I love typography, I love composition... these are how I do composition sketches. They really start as shapes. I sketched it in my iPad Pro that night, put 'em on my computer and added color. Do you think that fast turnaround helps you work? Yeah. It's an exercise. Artists put themselves through exercises all the time, you kind of get better at understanding form a lot more. You do a five-minute study, two-minute study, sixty-second study of a subject, to just be able to really capture form. A lot of the emotion, and a lot of the expression is captured in the gesture, the act of doing it. It's a physical thing. You can react to three lines more than you can react to a 12-foot-by-12-foot painting sometimes. How many 12-foot-by-12-foot paintings can I really make in my lifetime? Like oil paintings, without employing a whole team? It's figuring out a way to be able to allow yourself to be expressive and [for it] not to be as draining. When you said you can react to three lines more than a super detailed composition, that's what I think is really smart about the single artwork. They're simple, but they also convey very specific cultural references people recognize. 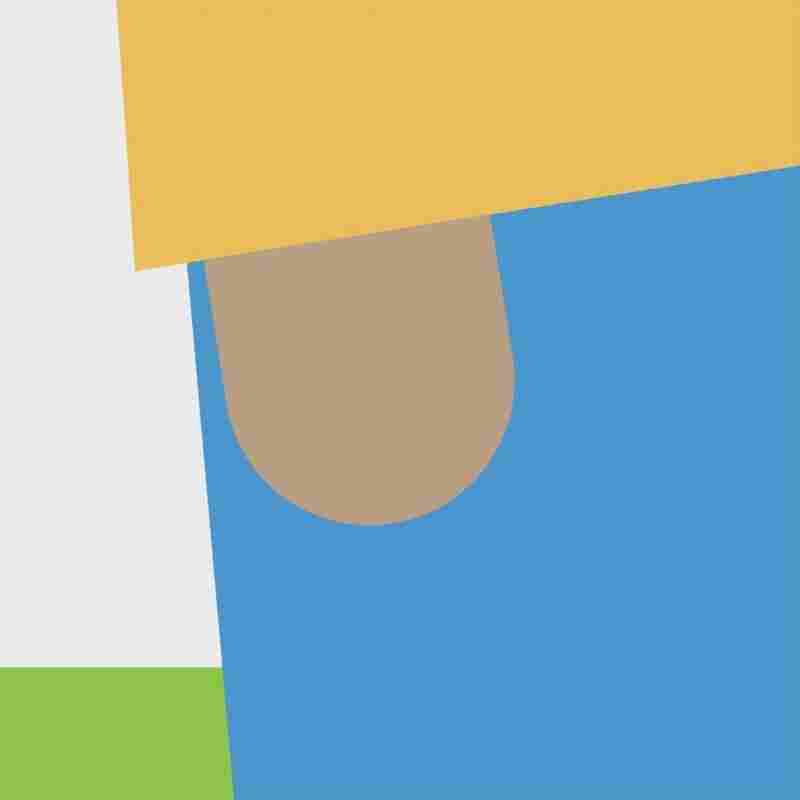 The "I Might Need Security" single, I'm seeing it as your take on the Arthur's Fist meme. I know the track itself is confrontational, about anger. But why the Arthur meme? A lot of these things were figuring out ways to communicate. Emojis are a good tool used to communicate ideas. Memes are things that people understand, that people have a relationship to, that communicate emotion ... People put out product design, put out products, and test to see how people use them to inform the version of the next product, right? So I think of memes like that. I didn't know how fast people were going to get it. I hid it in a couple different ones, that were even more abstract. It's a joke, I'm not trying to take it too seriously, or the art too seriously. It was all about Chance — what he was trying to convey in these things, too. It was like, how can I strip that down? How can I present that in a way that is a commentary on now? Also, he did the Arthur remix song a while ago. It connects, it brings [it] back that. People were saying the "Work Out" art was from Foster's Home for Imaginary Friends or something. [Laughs] It's whatever people want it to be. It was meant to be interpreted. When I got the music, that's all I did. That's all I could do. I wasn't there to talk to Chance. I could only pick up on the elements that made sense to me. Are there collaborations we should be looking out for in the future? I don't know. I talked to him a couple days go ... at Pitchfork [Festival] a little bit. He was saying, "I haven't put out music in a little while, and I thought it'd be great to do it again with you." And I thank him for that. A lot of time in these moments I don't get a chance to really express the amount of gratitude, even appreciate the gravity of some of the things. A lot of that gets lost in the business side of things sometimes. He's a busy dude. I'm grateful for the opportunity to express. And for having it be seen so fast. I did that two days, a day, before it came out. That's immediate feedback. You can't pay for that!